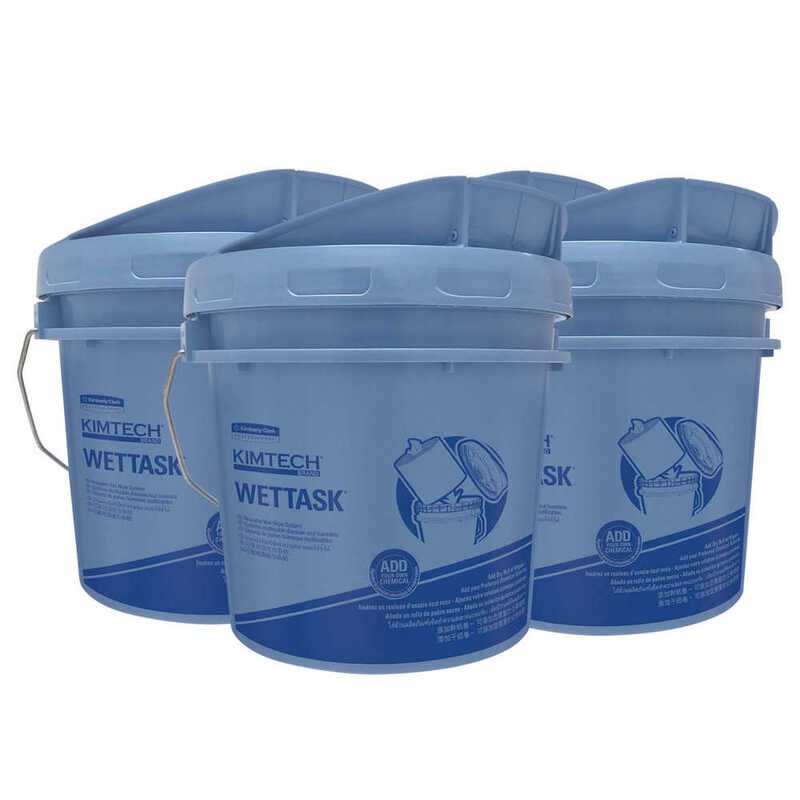 The refillable Kimtech W Aviation Wet Wipe System’s buckets give you more controlled dispensing and application of solvents for reduced waste and better overall performance versus traditional bucket / decanter systems and disposable pre-saturated options. The one-gallon buckets are made of high density polyethylene with a PE foam lid gasket and are easy to use with a re-closable cap and convenient carry handle. They are compatible with Kimtech A2 and Kimtech C3 Wipers, both of which come in convenient rolls and are compatible with most solvents used in aviation (such as MEK, TCE, Acetone, MPK, Isopropanol, etc…). The wipers specially engineered to perform in all areas of Original Equipment Manufacturing (OEM) and Maintenance Repair Operations (MRO), including paint surface prep, engine maintenance and general-purpose cleaning. All Kimtech Aviation Wipes are qualified and listed on PRE-QPL-AMS 3819C (Aerospace Materials Specifications) and meet the requirements of BMS 15-5G (Boeing Material Specifications). With the Wet Wipe System, you can use any cleaning solution and saturation level you need. 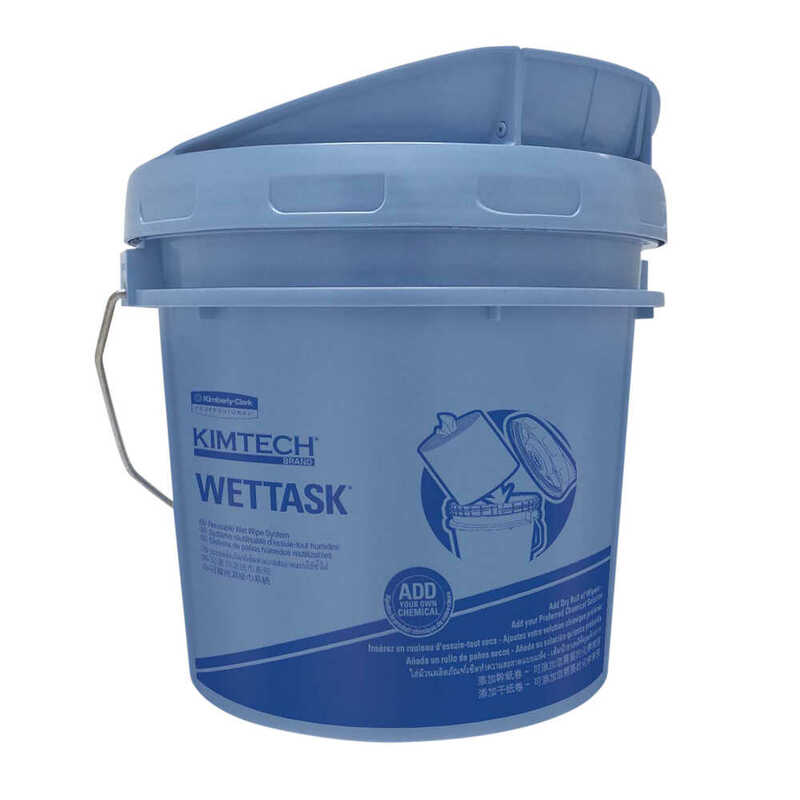 Trust the Kimtech Brand for new wiping solutions designed to meet aviation industry needs.